Our Wisconsin genealogists are available to research on location. They will find and analyze the best records available to further your family history research. They can search the archives and libraries in Wisconsin, as well as help you with other special requests. Our researchers are available to visit local archives and libraries to access unique record collections to help with your research. Below is a list of a few of the archives our Wisconsin researchers have access to. The Wisconsin Historical Society is known for the best genealogical archives in the state. Serving as the main state archive and state library for Wisconsin, the Wisconsin Historical Society also stands as the American History Library for the University of Wisconsin-Madison. Its archives are home to one of the largest collection of newspapers, second only to the Library of Congress. The Draper Manuscript Collection and the Wisconsin State Old Cemetery Society Collection are the most notable collections. The Draper Manuscript Collection consists of 491 volumes of partially indexed letters, genealogical and historical notes, land records, newspaper clippings, and interview notes. These documents focus on the history of the settlement of the old northwest and southwest territories of the United States from the 1740s to 1830. The Wisconsin State Old Cemetery Collection holds records of about 25 percent of the 8,500 cemeteries in Wisconsin. The Wisconsin Area Research Center Network consists of 14 different genealogy repositories across Wisconsin. Each Area Research Center (ARCs) serves a specific regional area in the state of Wisconsin. The Wisconsin Historical Society functions as one of these centers. Historical records gathered through this network are generally deposited, organized, and cataloged at the Wisconsin Historical Society’s headquarters in Madison. If you are looking for the best manuscript collection in Milwaukee, take a look at the Milwaukee County Historical Society. Some of the subjects include information on the Civil War, church records, obituaries, biographical information, newspaper clippings, and naturalization indexes. The society is known for their specialty of collecting records on German immigrant families. 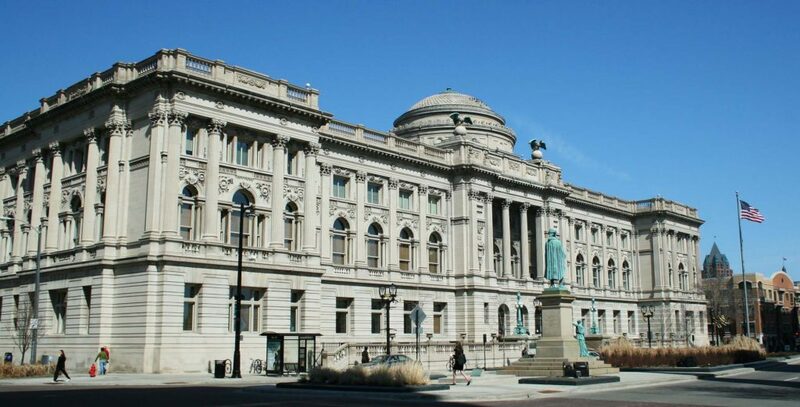 Our Michigan genealogists can find taxation records from 1839 to 1887, census records that date back to 1836, and coroner’s inquest records dating back to 1873 at this archive. If you think this archive might be useful in your family history research, our Wisconsin genealogists can perform on-sight research to these archives. Feel free to contact us for special projects. The Wisconsin State Genealogical Society holds genealogical records dating back to some of the earliest Wisconsin families. Resources include an index of Green Bay Newspapers that date from 1833 to 1840 and Gospel Herald archives dating from 1846 to 1850. The Society archives index and hold all Society members’ pedigree information. Visitors can also find indexes of county histories from the 19th and early 20th century. Our genealogists have greater accessibility to these resources than most private individuals. A microfilm collection including over 4,000 reels of census, newspapers, county histories, indices, etc. Federal censuses from all Wisconsin counties from 1820 to 1930, and territorial censuses from 1836, 1838, 1842, 1846, and 1847. Archives of all the Brown County newspapers, dating from 1833. Map collection including plat maps of Brown County beginning with 1889 and plat maps from other Wisconsin counties. The Norwegian American Genealogical Center focuses on gathering records of Norwegian-Americans. The collection includes thousands of genealogical books and microfilms. The center contains records of 320,000 names in 1,200 cemeteries, passenger arrival lists from the 1800s, and American church records from 1840 to 1900. Visitors can also find immigration records from certain Norwegian cities; these include records of emigrants from Bergen, Oslo, Kristiansand, Trondheim, and Kristiansund. The Local History Manuscript Collection contains manuscripts, diaries, and other articles of correspondence. The Milwaukee Road Archives, the official archives of the Chicago, Milwaukee, St.Paul & Pacific Railroad, a.k.a. the Milwaukee Road. This collection has a complete collection of passenger train timetables from 1886 as well as employee timetables. historical documents of the railroad’s development and its overall history. The Racine Heritage Museum’s Research Center works to provide the community with local history information from the 1830s to the present day. The center has a variety of articles including cemeteries, federal and territorial censuses, city directories, photos, diaries, and manuscripts. Visitor can access collections of military history documents, including information on county residents who served in the Civil War, World War I and World War II. Other military information contains Civil War company histories, World War I participant photographs, and World War II participant clippings. Our Wisconsin genealogists specialize in researching several types of documentation and are not limited to the list above. For more information or specific inquiries about our Wisconsin genealogists, please feel free to contact us.